I regret to inform you that Iwan and his wife Catherine were killed in a severe car accident during a vacation on the West Coast on July 4. Iwan and Catherine were very much in love and were bright stars of kindness and intellect. Their loss is felt painfully. Please direct any personal email to the Ulrich family. You can reach them at the following email address: e.ulrich@bluewin.ch. Please direct any email in regards to Iwan's projects at CMU to Illah Nourbakhsh, Iwan's advisor, at illah@ri.cmu.edu. I am sorry to bring you this bad news through such an impersonal medium. Let this website and Iwan's other associated websites stand as a memorial to a life full of projects that have helped and touched many. In that our success in life is defined by the positive impact we have on those around us, Iwan is a model to whom all of us should aspire. The rest of this home page remains as Iwan left it, untouched. I am currently a Ph.D. student in Robotics at Carnegie Mellon University. In 1997, I received a M.S.E degree in Mechanical Engineering from the University of Michigan. In my undergraduate years, I studied Microengineering at the EPFL (Swiss Federal Institute of Technology at Lausanne) in Switzerland. My research interests are mainly in the field of mobile robotics. In particular, I am interested in navigation, localization, mapping, obstacle detection, obstacle avoidance, ultrasonic sensors, color vision, path planning, artificial intelligence, and machine learning. Feel free to check out my publications and a short description of the mobile robots that have crossed my path. My current research at the Robotics Institute is about vision-based navigation for autonomous mobile robots. The project's long term goal is to develop a mobile robot that is capable of reliably navigating the university campus, indoors as well as outdoors. I am currently investigating a promising method for vision-based localization, which will hopefully become the topic of my thesis. For the same project, I developed an appearance-based obstacle detection system that produced some interesting results. This work is conducted at the Mobile Robot Programming Lab and is supervised by Prof. Illah Nourbakhsh. 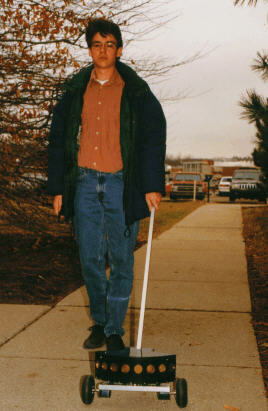 My Master thesis consisted of the GuideCane, which is a navigation aid for visually impaired people. This device is based on obstacle avoidance technology originally developed for mobile robots. In particular, it uses sophisticated methods for ultrasonic sensing (EERUF), local mapping (HIMM), and obstacle avoidance (VFH). 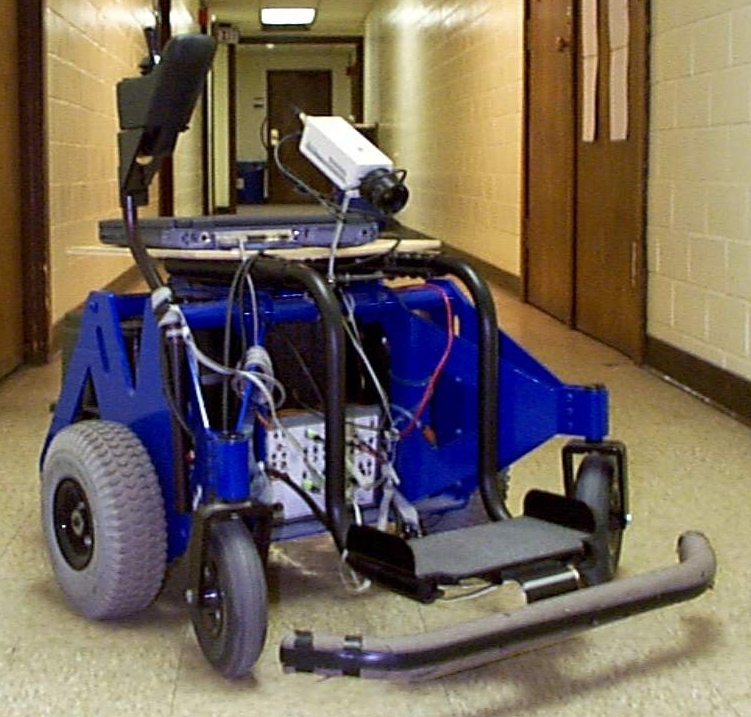 In 1998, the GuideCane won the Discover Magazine Award in Robotics. The GuideCane also received a lot of media coverage world-wide. My Master thesis was supervised by Dr. Johann Borenstein at the UM Mobile Robotics Lab. 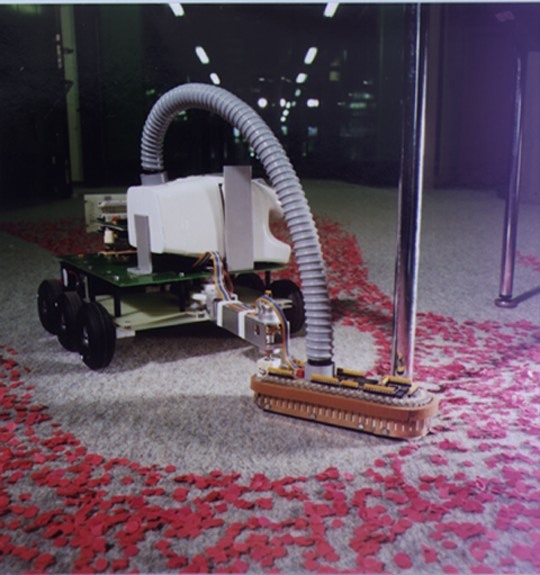 The goal of my first serious research project was to develop an autonomous vacuum cleaner for my undergraduate thesis at the EPFL. The resulting robot was able to build maps of an orthogonal environment, and then to clean the interior. 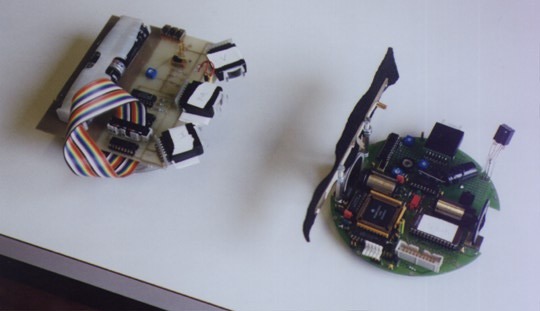 The interesting part of the project was that the robot only used tactile sensing together with odometry. For more information about this robot, check out the corresponding journal article. Early examples of some of the robot's behaviors are shown in this video. This work was supervised by Francesco Mondada and Jean-Daniel Nicoud at the LAMI. 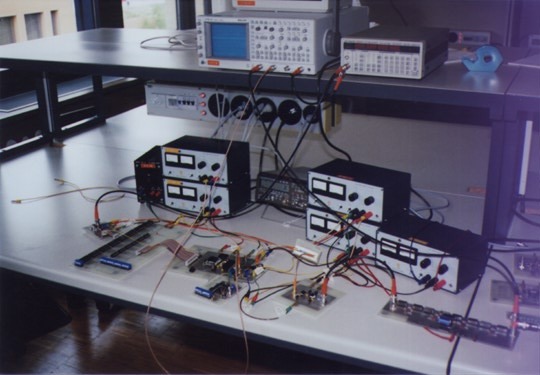 My first task at the University of Michigan was to develop a multiprocessor interface board that controls 32 ultrasonic sensors according to EERUF. The sonars and the interface were then successfully installed on CLAPPER. 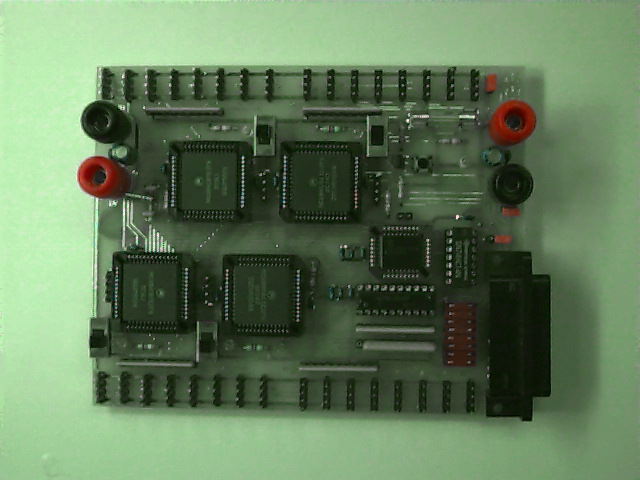 Based on this board, I developed the original Micro-Controller Interface Board (MCIB) version 1.0 for the GuideCane. Later, other people at UM made further improvements to the board, whose newest version 3.1 is now commercially available. This newest version is only as big as a floppy disk. It interfaces up to 16 ultrasonic sensors and 2 quadrature encoders, provides 4 PWM signals, and 8 A/D inputs for additional sensors. 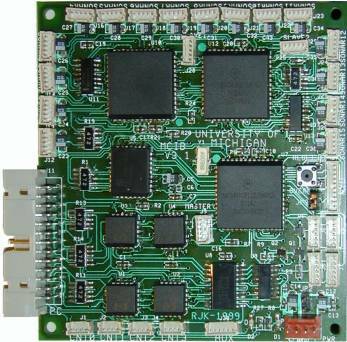 In short, it provides a great electronic interface for mobile robots. 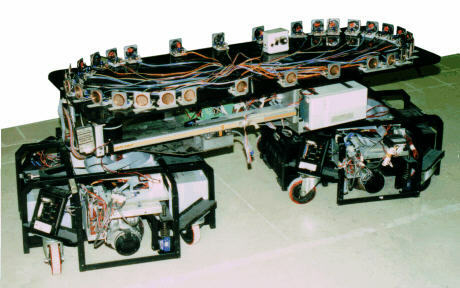 During my undergraduate years at the EPFL, I participated twice at the mobile robot contest using the small Cyclope robots developed at the LAMI. 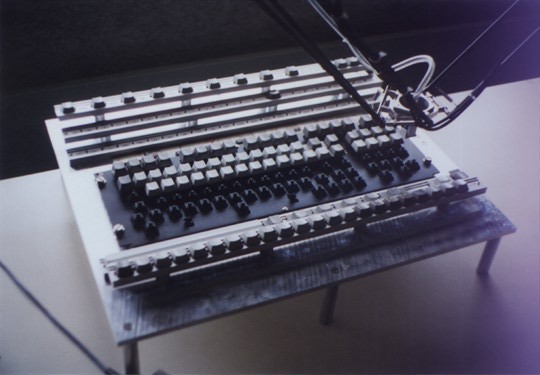 I also had the chance of designing an assembly station of a keyboard with the ultrafast Delta robot. Last but not least, during my only non-robotic project, I designed an electronic signal generator that provided high frequency signals based on DDS. IEEE-1394 based digital cameras are an ideal solution for acquiring high quality images with a regular laptop computer. These cameras allow for both high quality images and fast image acquisition at up to 400 Mbits/s. Hardware support for notebook computers is available in the form of IEEE-1394 CardBus cards. However, until recently, there has been a lack of software support. Because we strongly believe in the future of digital cameras, we chose to fill this void by writing the software driver ourselves and making it available to the general public. The result of our work is a C/C++ software library (DLL) that works for Windows 98 and higher. The software driver is made available to the public on a designated web site at no charge. The weather and forecast for the Pittsburgh area.